Stop in or call 651.890.9782 today for a free introductory class and take advantage of our limited time specials. Top level training- We have experienced pro fighters and experienced trainers. Variety- Aside from our excellent mix in instructors, we pride ourselves in always keeping our classes changing! Using the many training regimens we took from our travels and years of training experience,we keep things fresh and changing so it's fun and challenging for all! Membership options- Affordable rates, Month to Month contracts, and no enrollment fees. Clean environment- Sounds like a given…well it’s not! Our routine disinfection of all surfaces and equipment ensures the cleanest possible environment! Friendly environment- Our fitness members, instructors, students and fighters are all held to the same equal standards…NO BAD ATTITUDES! None are here and none are welcomed! We are all friends and family at Next Level Combat. Realistic training- The Martial Arts training we offer is the most realistic training available in the Twin Cities. Whether its for self defense, sport, or a great workout. Evolution- The game of MMA has evolved greatly since it first started and so have our instructors. Don't get stuck learning techniques and theories that may have worked 10 years ago. Learn the evolving game we specialize in. Flexible schedule- We offer morning and night classes to accomodate anybodys personal schedule. Do I have to be in shape before starting to take classes? Absolutely not; there is no such thing as being too out of shape to begin training! At Next Level Combat we pride ourselves in getting our students in the best shape of their lives. That’s a main reason why many people take up martial arts training in the first place! Your first months of training are guaranteed to transform your body, and our instructors will be there motivating and helping you every step of the way. I am not very athletic and I have never trained in martial arts. Are your classes too advanced for me? Our classes are designed to accommodate martial artists of every skill level. From your very first visit you will notice that our instructors and students are extremely friendly and will go out of their way to help beginners out. This is the kind of training atmosphere you can expect to find at our gym. We welcome beginners and we guarantee that you will have a great time learning! I would love to train but my work schedule conflicts with your classes. Do I have any other options? Yes. All of our instructors teach private classes that can be scheduled to fit your needs. We also morning and weekend classes. Contact us and we’ll be sure to work something out; we don’t want you to miss out on training! I want to start training at your gym as soon as possible. How do I proceed? We are happy that you have decided to train with us! We recommend that you come visit the gym so that you can see the different programs that we have to offer, and thus make an informed decision when enrolling. You can stop by at any of our class times, or schedule a FREE INTRO CLASS here. We are 100% positive that you will be very satisfied with your decision! What makes Brazilian Jiu-Jitsu and Submission Wrestling different from other traditional martial arts? While most traditional martial arts focus on striking, Brazilian Jiu-Jitsu and Submission Wrestling concentrate on grappling and especially ground fighting. As one can imagine, it is a significant tactical advantage to specialize on what most styles don’t offer. It makes grappling arts extremely effective in self-defense and one-on-one fighting situations when compared to other disciplines. Another major difference is that traditional martial arts usually follow a standardized technical curriculum and focus on non-reality based sparring such as point fighting. The nature of grappling is one of constant evolution, where the student is always developing new skills and techniques. Grappling also allows for realistic sparring at the gym, where one can test their skills on a daily basis while still being safe. 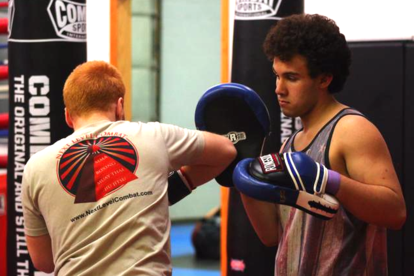 We always recommend that our students supplement their grappling classes with some functional training in striking, such as provided in Boxing, Muay Thai and Mixed Martial Arts. Am I too old to learn martial arts? No! Because we focus a lot on teaching proper techniques to their students for self-defense application as well as fighting in the ring or in tournaments, it is a lot easier on the body with much less chance of injuries. You are never too old to learn how to defend yourself. Is sparring and grappling a required part of class? We never make anyone spar who does not wish to, but sparring is an important part of the learning process because it exploits your weaknesses and strengths so you and your instructor can track your progress. What we will do is have you spar with an instructor first or some of the advanced students who are knowledgeable on how to roll around on the ground safely with new students. We find that most people, once they get the taste of sparring, realize that it is fun and great exercise and want to then spar more. Do I need any previous experience to join Next Level Combat? Absolutely not. We love teaching beginners and cater to the needs of each students ability and experience. Is this type of training only for people who want to learn how to fight? No! We primarily teach effective self defense, fitness and MMA techniques. Most of our students enjoy the challenge of learning something new, while also getting fitness and self defense benefits out of our classes. You can wear gym shorts and a t-shirt all week. 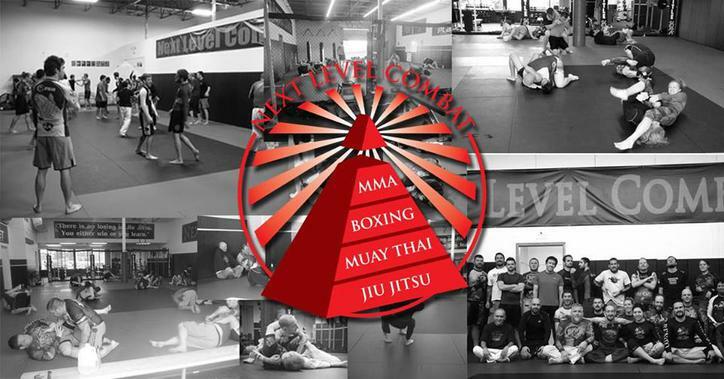 Next Level Combat Woodbury opened in July 2010 and has emerged as one of the top Martial Arts gyms in Minnesota. Offering classes for Jiu Jitsu, Muay Thai, Boxing and MMA (Mixed Martial Arts) for kids and adults. We're a proud affiliate of 10th Planet Jiu Jitsu under Eddie Bravo. Next Level Combat is located just minutes from Oakdale, Cottage Grove, Maplewood, St Paul, South St Paul, Minneapolis, Lake Elmo, Inver Grove Heights, Minneapolis, Eagan, Burnsville, Farmington, Rosemount, Lakeville, Bloomington, Edina, Shakopee, Richfield, and Savage.. The state of the art facility include over 4,000 sq ft of mat space, professional boxing ring, heavy bags and weight area. 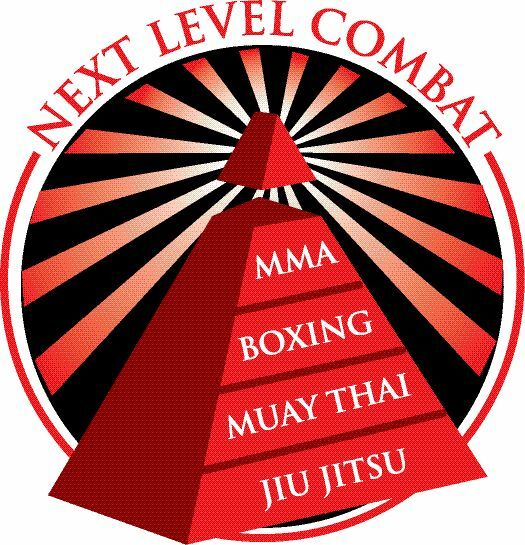 Whether you want to get into great shape, learn self-defense techniques, gain self confidence or compete professionally, Next Level Combat can help you meet your goals. Located just minutes from Oakdale, Cottage Grove, St Paul, South St Paul, Newport, Maplewood, Lake Elmo, Hudson, Inver Grove Heights, Minneapolis, Eagan, Burnsville, Rosemount, Lakeville, Farmington, Edina, Bloomington, Richfield, Shakopee and Savage.